From the GPU's perspective the bandwidths of system memory and ESRAM are parallel providing combined peak bandwidth of 170GB/sec. Last edited by El Chaos on 09 Aug 2013 04:30, edited 3 times in total. Apart from that, my only important comment on this and the PS4's specs is that I don't see any multi-monitor support. This is a deal-breaker for me, and it means that these consoles will be obsolete for anything but console-exclusive titles from the get-go. Playing with a single monitor is almost like playing a different game compared to 3. It is even worth lowering the resolution to achieve this -- which the consoles will once again almost certainly NOT allow you to. Everyone's talking about how the target for the next gen is 1080p60, whereas RIGHT NOW my PC can easily do 3x1080p60 at full detail settings, and soon enough even 2x3x1080p60 (with stereoscopic 3D turned on for all 3 screens), or 3x1600p60 for anything but the most cutting edge stuff (Crysis 3 and Metro 2 or whatever). So, color me unimpressed by these specs. In short, only PS4-exclusive games have a chance of being technically outstanding, while everything else on both systems will be PC-level stuff that (and I am the one saying this) we'll be better off playing on the PC due to customizable detail settings, multi-monitor setups and the like. The manufacturer has responded to our mails. "Microsoft does not comment on rumours or speculation," reads the statement. "We are always thinking about what is next for our platform, but we don't have anything further to share at this time." Following Friday’s rumor about an early April reveal date for Microsoft’s next generation Xbox, CVG’s Rob Crossley has said on Twitter that a ‘trusted’ source has told him the event will occur on April 26. As always, take this with some salt until it is confirmed or denied. Rumor: Next Xbox to be revealed on May 21, cost $500 for base or $300 for subscription model, and launch in November. Always-on internet connection echoed, as well. Microsoft will reveal its next-generation Xbox during a press conference at their Redmond, Washington Xbox campus on May 21 at 10:00 a.m. Pacific, an invitation sent to press confirms. The conference will be live streamed on Xbox.com, Xbox LIVE, and broadcast on Spike TV in the U.S. and Canada. “On that day, we’ll share our vision for Xbox, and give you a real taste of the future,” said Major Nelson. “Then, 19-days later at the Electronic Entertainment Expo (E3) in Los Angeles, we’ll continue the conversation and showcase our full lineup of blockbuster games. 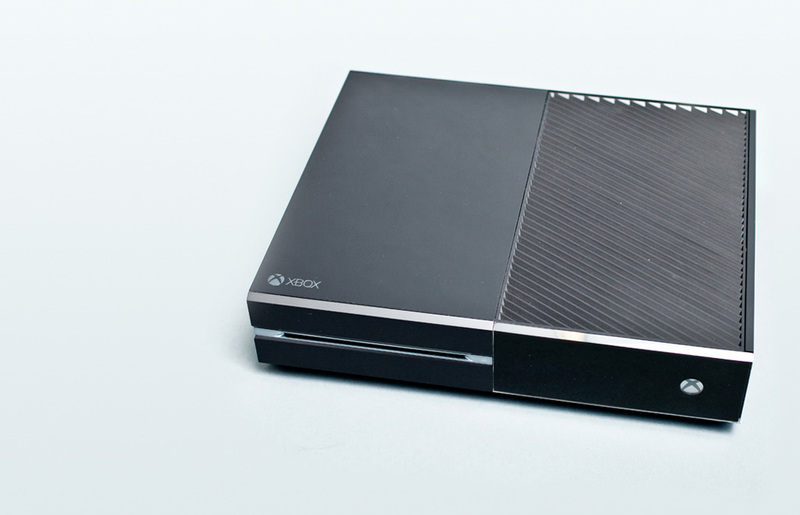 The new machine from Microsoft has been officially unveiled as the "Xbox One" a few hours ago. Well, it looks more like a box at least. Not much else was shown at the very brief presentation. I'm glad they finally decided to use the cross for the direction pad. I wrote: I went with ONE since the tag for the Xbox 360 is 360. It seems to me the most elegant solution under the circumstances. Like recoil said, it's a dumb name so it's a tough choice. Dumber in fact than Wii and Wii U put together. I briefly considered dinopoke's suggestion, XBO, but then I thought, and what if they decide to stick to this naming scheme for once and named the next console Xbox Two? And then the next one Xbox Three? We'd have two consoles with the XBT tag! Which would mean we'd have to scrap the entire tag series, and I'd have to go back and edit hundreds of Xbox One thread titles! You see how the philosopher's mind works, always at least in terms of decades, if not centuries lol. But what I find more interesting about MS's console naming conventions are the psychology they betray. With the first console they were happy to be in business and the only thing in their minds was survival, so they just came up with the flashiest name they could come up with: the XBOX -- and it was indeed a great choice. But they never gave any thought to follow-ups, because they were playing it month for month and year for year. Then with the follow up they were still not sure of themselves. The Xbox never turned a profit, and if this continued with its successor, they'd have to quit the business. So they brought in the marketing idiots, who spouted all this "lifestyle, zen" rubbish, etc., and came up with what was, at the time, the stupidest named console ever: the Xbox 360, while again not giving the slightest thought to how they'd follow it up one day. And finally, with the third console, you can clearly see how, now that they've obviously made it and are here to stay, they are FINALLY starting to think of the future properly, but their previous dumbass choices have made it impossible for them to do so while being consistent with them, so they had to scrap everything and start again. The irony of it is that there's a good chance this will be the final console generation, so the One might well end up being the final one, lol. Basically, everything is the fault of the marketing gurus. If they had simply called the second console the Xbox 2, everything would have been as fine as they've been with every other console ever. Does anyone seriously think MS made a single additional sale by calling their second console "Xbox 360"? But see, they couldn't call it the Xbox 2 because then they wouldn't have been able to justify their fees, since you don't need gurus to come up with that name. The moral is, you bring in the gurus, you will pay for it, and in more ways than one. I had forgotten about that! Sad as it sounds, it was a valid consideration, marketing-wise. Still, any number of alternatives would have been better to "360". Xbox Next, for example. Though, again, it would be very hard to follow it up... And they couldn't drop the Xbox name altogether, because apart from the fact that it's a bad move from the perspective of brand-building, it's the best console name ever. If it were me, I'd have called in the dudes who make the names for the Guilty Gear games lol. 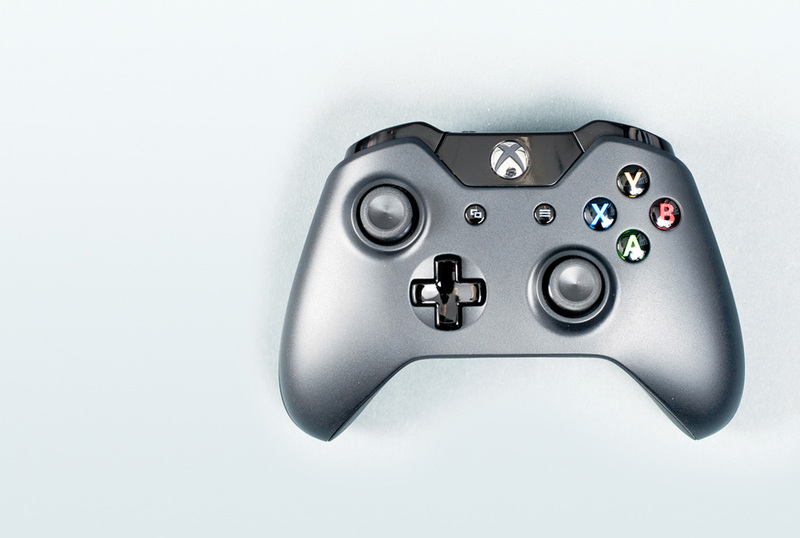 I like the gray on the controller here, but everywhere else I've seen it's all black. Ryan Fleming wrote: As the details of the Xbox One continue to trickle out following the May 21, 2013 unveiling and the subsequent deluge of facts (some real, some not), we have one more piece of information to confirm about the console: the Xbox One will still feature regional locks. You can give a disc-based game away only to a friend who's been on your friends list for at least 30 days. They can't give it away again. Publishers decide if reselling their games is allowed, and they may charge for it. Great news and good price. I am "jumping in" at launch. Finally, a console I can use with one my 1080p screens full-time. Microsoft has revealed the list of 21 countries which will support the Xbox One at launch, intimating that the machine will not function at all in areas which aren't named. There are several notable absences, including Japan and Poland - home to some major developers. Because of the console needing to 'check in' once every 24 hours to function, customers hoping to import a machine to an unsupported country may well find themselves out of luck. Previously, region-locked software meant that gamers would have to buy the appropriate discs for a machine, but could take that machine anywhere. Now, they'll have to wait until Microsoft decides to add their country to the list. A list of requirements on the publisher's pre-order information page is somewhat ambiguous in its wording, claiming that users will require "a Microsoft account and an account on Xbox Live in an Xbox One-supported Xbox Live country/region", but requests for clarification to Xbox support staff seem to indicate that if your country isn't on the list, you won't be playing Xbox One. The following exchange between an inquisitive customer and Microsoft seems to be pretty clear. Q: "Does the Xbox One disclaimer imply you won't be able to authenticate a disc-based game if not in one of the 21 countries?" "The Xbox One will only be available in the 21 launch countries." Q: "But say someone from Poland, not listed, imports it from the UK. Will they be able to play disc-based games?" "They would want to wait until the console is available in their region." In an attempt to bring some clarity to yet another confusing stance on Xbox One, Microsoft has issued a statement. "At this time, we have announced Xbox One will be available in 21 markets in November this year and additional markets later in 2014. Similar to the movie and music industry, games and other content must meet country-specific regulatory guidelines before they are cleared for sale - which means that games will work in the broad geographic regions for which they have been cleared, much as today with Xbox 360. While the console itself is not geographically restricted, a user's Xbox Live account, content, apps and experiences are all tied to the country of billing and residence." The list of 21 countries, reproduced in full below, isn't final - Microsoft will continue to add new regions as part of a the Xbox One roll-out. Inquiries with various local Microsoft offices have indicated that missing European countries will start appearing during 2014. There's no way that person is not who he says he is. No blogoroid or forumroid can think like that, even if they had all the facts right before them. I myself had thought of the lower price points that no-used-sales could bring, but hadn't connected them to Steam prices, which have basically proved that that's exactly what will happen with consoles too. The problem is exactly what the dude says: MS have botched the job of communicating their message, and they are coming off as the bad guy. The rest was done by the journalist churn mill/blowing-out-of-proportion machine and the ressentiment of the rabble for big corporations, and indeed for anyone or anything that's not poor and doing well for itself. In addition to buying a disc from a retailer, you can also download games from Xbox Live on day of release. This is what they should have done half a decade ago. 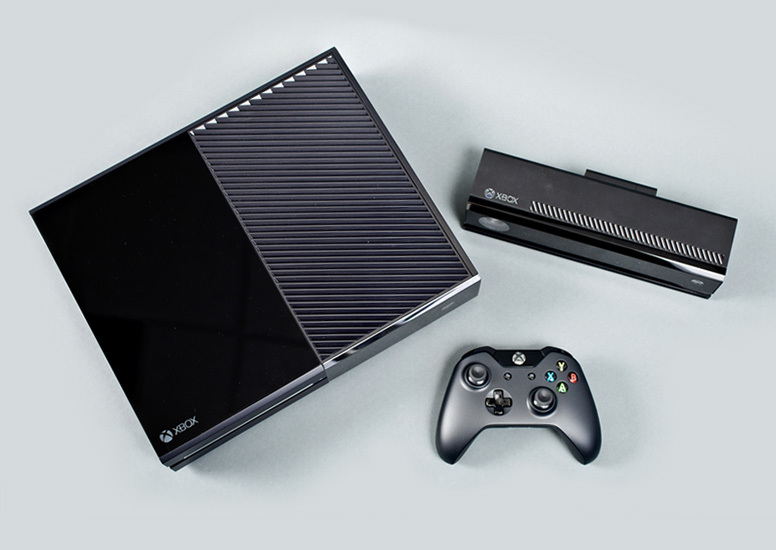 Games on Demand is a disgrace: why on earth isn't EVERY 360 GAME EVER on there? What is the justification for having such a tiny half-assed collection? If you force the publishers to put all their games online immediately on release, then you will gradually see players moving away from retail towards download on their own, accepting in the process all the rules that you were trying to force on them. And, if the prices are meant to fall, they will fall on their own, as publishers pass on the savings made from moving away from retail to their customers in order to undercut each other. Of course whether prices fall or rise will ultimately depend on many other factors, chief among them the costs of development and the size of the market, but at least from the distribution side of the equation, going online-only is the cheapest, most efficient option, so the sooner the entire industry moves there the better things will be for everyone -- except retailers, who are anyway not contributing in any way to the creative aspect of the artform, and hence can go to hell as far as all the rest of us are concerned and stop taking away resources that could go to developers instead in order to improve their games. The simplest, most efficient way to speed up the move to download-only sales is this: force all publishers to offer their games $5 cheaper online on release. This simple, tiny move will be more effective than all the threats and regulations in the world. The problem, I suspect, is that retailers will revolt and try to retaliate against any publisher wwho does this. And if MS forces ALL publishers to do this, then the retailers will simply retaliate against Microsoft, by giving more floor space to Sony. That is why everyone is playing the waiting game, and giving time to the customers to effect the change on their own. And the customers are naturally enough taking their sweet time.